Cuvva offers short term insurance from as little as one hour up to 28 days instantly via our app for drivers aged between 19-65. It only takes a few minutes to signup and then only seconds to get comprehensively insured. We guarantee a two-minute enquiry response between 6am-midnight, 7 days a week. Get cuvva'd now! Tempcover compares flexible and comprehensive short term car insurance policies from well-known UK insurers, for 18-75 year olds (17 for learners). Policies from one to 28 days with cover available for an additional driver and impounded cars. There are flexible payment options including PayPal, with documents delivered to your email address. Collingwood Insurance Services UK Ltd offers short-term learner driver insurance for drivers aged 17-65, starting from 7 days to 24 weeks, with the ability to select the cover type. This cover is for provisional licence holders learning to drive in their vehicle or in someone else's car. With over ten years’ experience in offering learner driver cover, Collingwood has one of the best ratings on Trustpilot (9.7/10) and the winners of the DIA Best Learner/Young Driver Insurance Provider two years running. Short term motor insurance will provide cover on a vehicle for a temporary period of time. It'll depend on your insurer as to what vehicles you're able to cover, but it's usually available for cars, vans and, in some cases, motorhomes and motorbikes. What is short term car insurance useful for? Short term car insurance can be useful in a variety of situations. The convenience and cost of this type of cover could potentially be cheaper than making a change to an existing annual policy and, if you need to make a claim on it, it shouldn't affect your existing no claims bonus. There's also the option to add extra cover - perhaps driving in Europe - for an additional charge, although you should remember that this may only offer the minimum level of cover. Cover is typically comprehensive but there are third party, fire and theft options available. Generally temporary cover can range from a minimum of one day to a maximum of 28 days. Remember that it's not a replacement for an annual insurance policy, so insurers will apply restrictions as to the number of policies that you can take out in any rolling 12-month period. This could be expressed by the insurer as a maximum number of occasions or a maximum number of days. However, it's possible to take out a short term insurance policy alongside your annual car insurance policy if necessary, for example if you have a car that you only drive on weekends. Insurers will impose certain restrictions on their policies to help reduce the risk of claims. For example, insurers will typically insist that drivers must be over 19 and have held a full UK or EU driving licence for a minimum of a year. Minimum age restrictions will differ from insurer to insurer and many will have a maximum age restriction, too - 75 would be typical. You can't tax a car if it's only insured with a short-term policy. Neither the DVLA nor the Post Office will accept short-term certificates for road fund licence purposes. As with an annual insurance policy, insurers will take into account a whole range of different factors when calculating your premium. These will include your age, your address, how long you've been driving for, your driving history and the vehicle you want to be insured for. Different insurers will focus more on different factors which means that premiums will vary, so shop around to find the right policy at the right price. As possible alternatives to taking out a temporary car insurance policy, our guides can help you weigh up the pros and cons of becoming a named driver on another policy and of arranging cover for other vehicles. If you're hiring a car, remember to check whether insurance is included as part of the hire deal. Gocompare.com introduces you to Dayinsure.com Ltd, Cuvva, Tempcover and Collingwood to provide short term car insurance quotes. All providers are authorised and regulated by the Financial Conduct Authority. 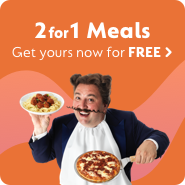 Gocompare.com's relationship with Dayinsure.com Ltd, Cuvva, Tempcover and Collingwood is limited to that of a business partnership, no common ownership or control rights exist between us.